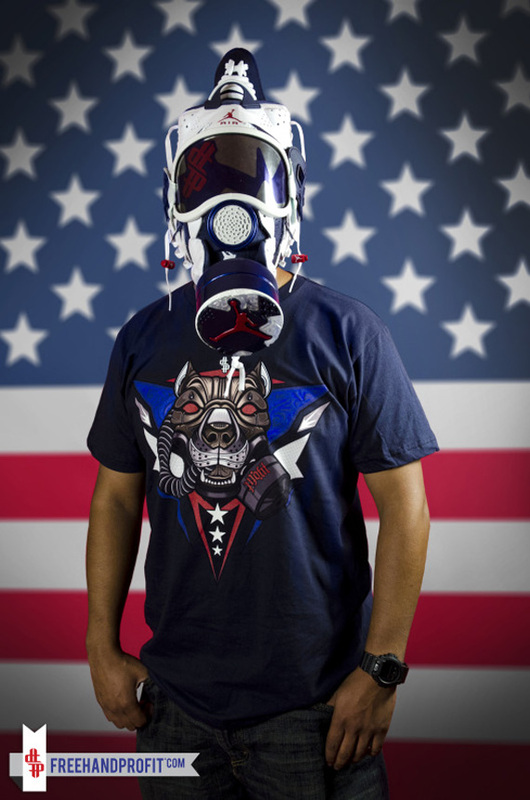 The macabre-looking visage of a gas mask with the American stars and stripes hanging in the background? 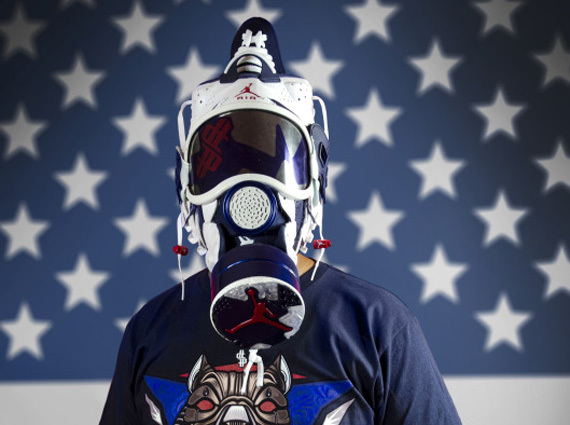 No, it’s not the latest bit of Banksy artwork – it’s another chopped and screwed sneaker by Freehand Profit. 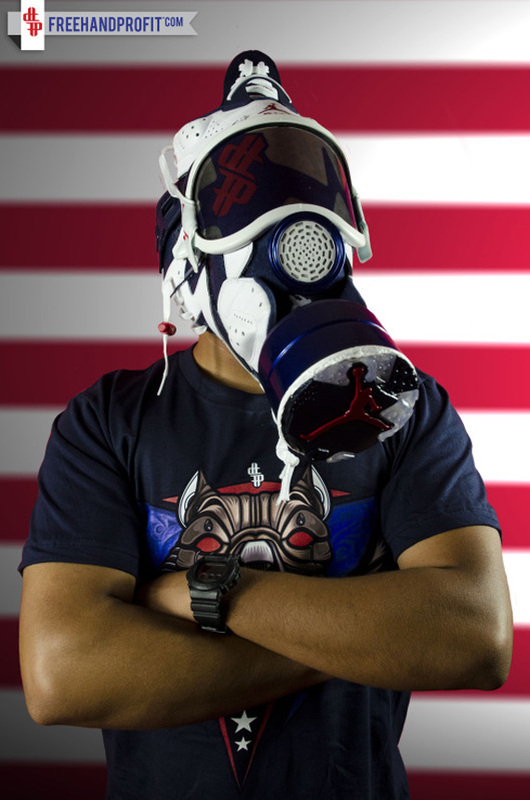 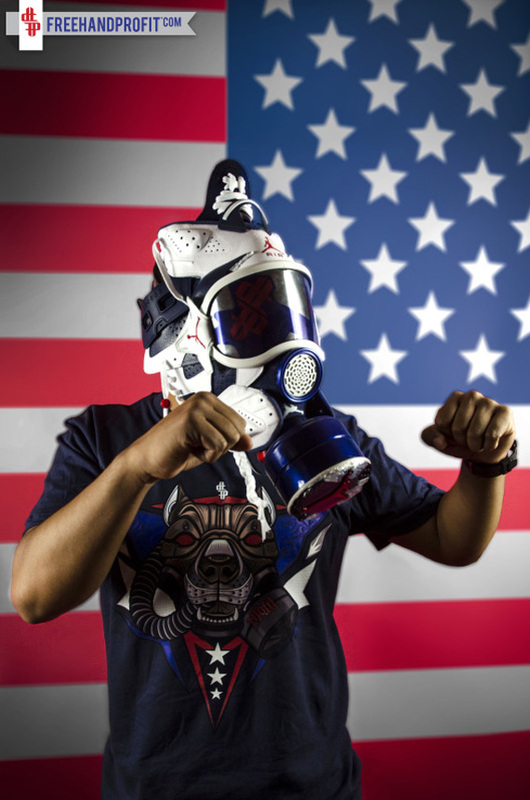 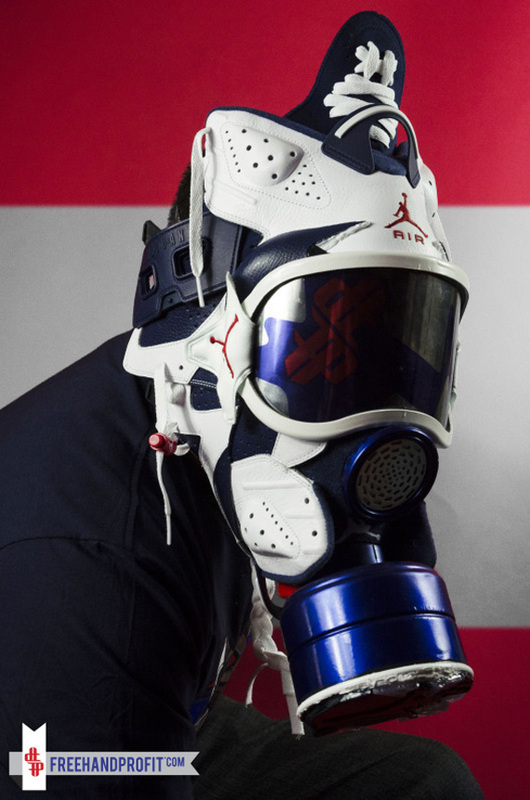 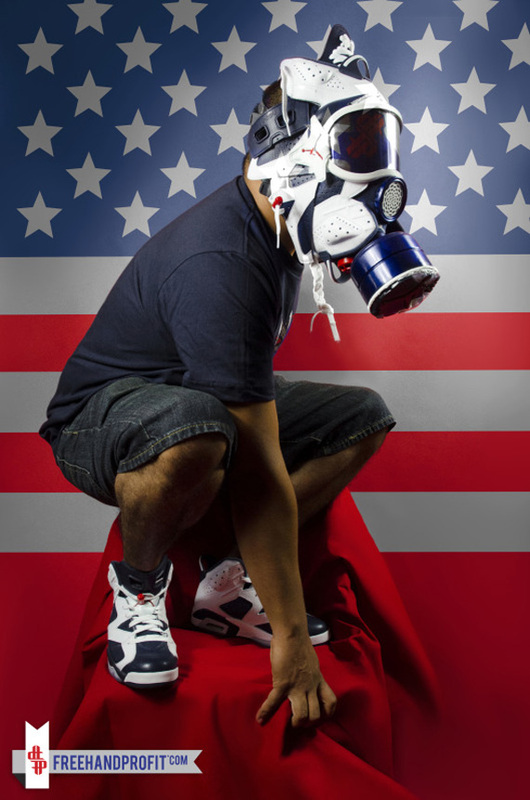 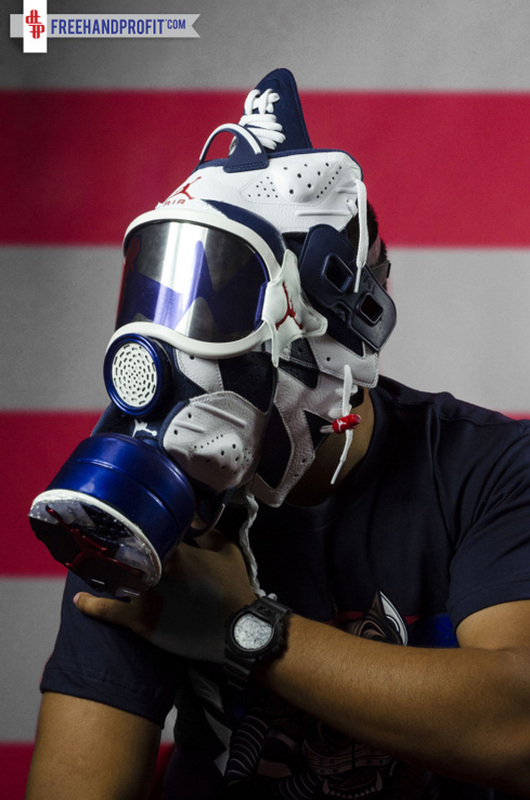 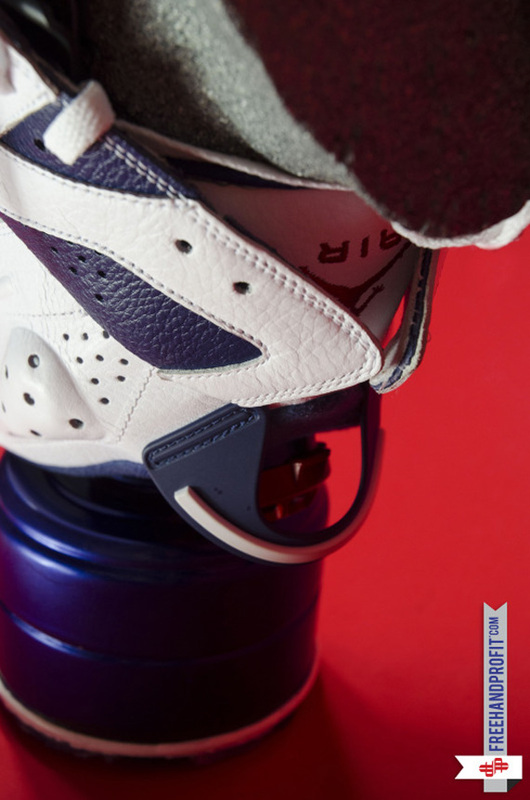 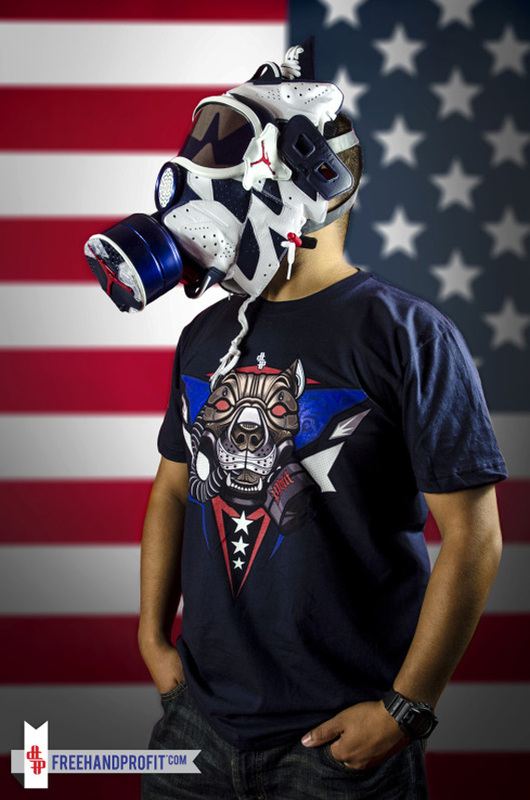 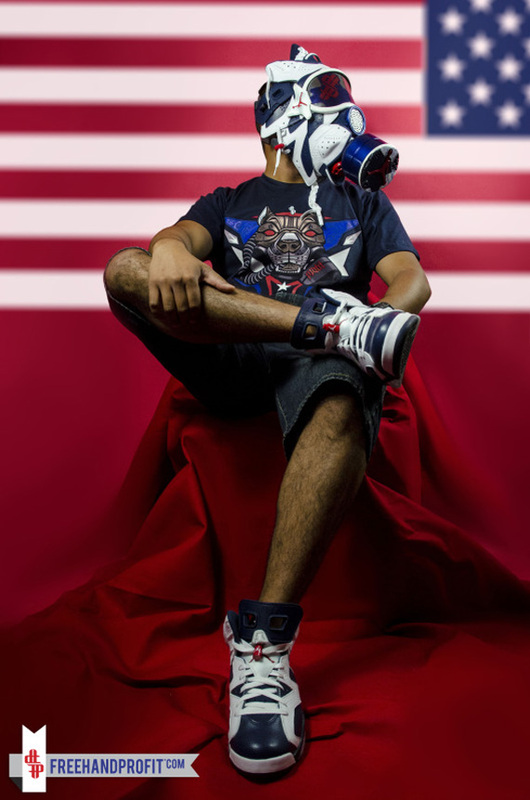 Using the recently dropped Air Jordan VI ‘Olympic’ Retro and a patriotic backdrop for this photoshoot, Freehand Profit unveils his latest Gas Mask donned in a familiar Red, White, and Blue, with a volunteer model willing to un-deadstock his own Air Jordan VI ‘Olympics’, acting as the podium. 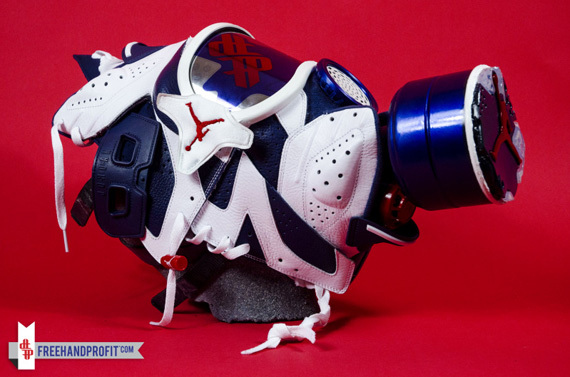 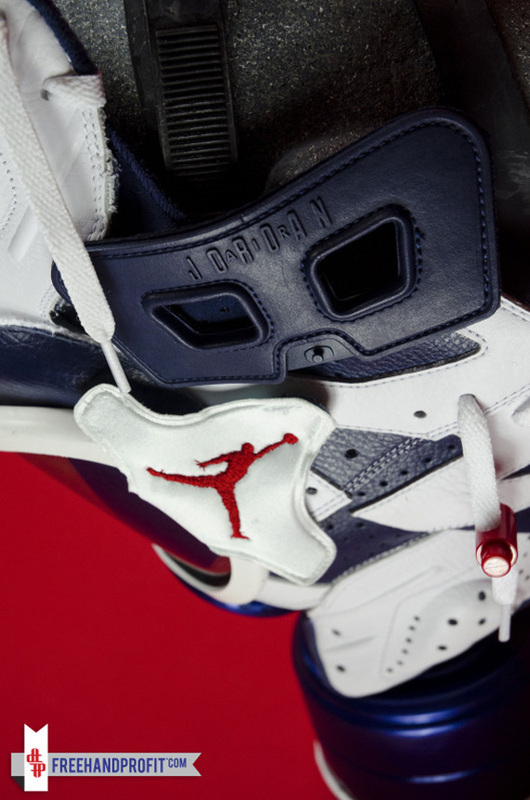 This Air Jordan VI ‘Olympic’ will be featured in Freehand’s book titled ‘Army Of The Undeadstock’, which will feature more than 100 pages of sneaker masks – some we have yet to see. 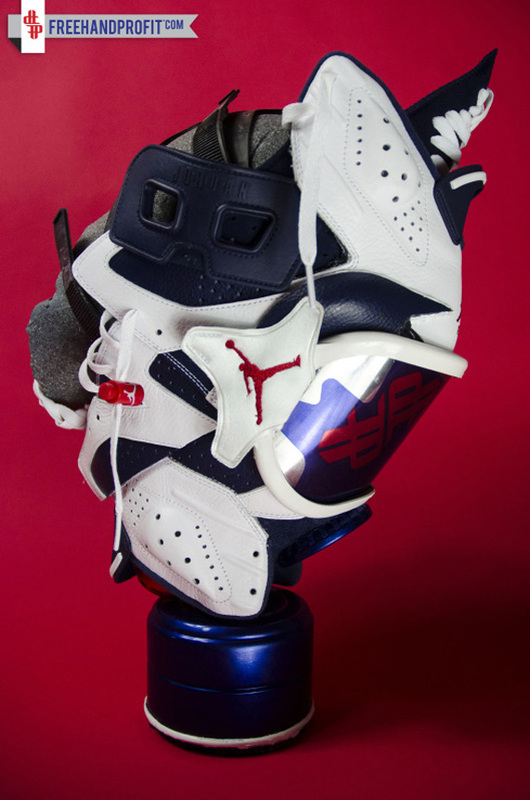 More of this Olympic variety after the jump!